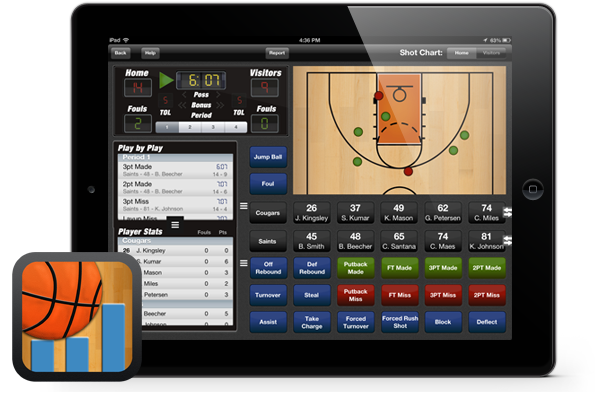 Breakthrough Stats iOS app helps coaches, players, and parents efficiently track stats during fast paced basketball games. While tracking a 10 person game, each second, half second, and app interaction counts so the majority of the time was put into the game input screen. The app is designed for both retina and standard iPad devices. The success of this app has been fun to be apart of. Within 1 week of release, this app took over the #2 spot for the Paid Sports Apps category in the iTunes store! Since 2013, this app has received an overall rating of 4-5 stars on iTunes. Revive was responsible for the overall design, User Experience, Branding, and App Icon design for this app, which has positively impacted reviews.